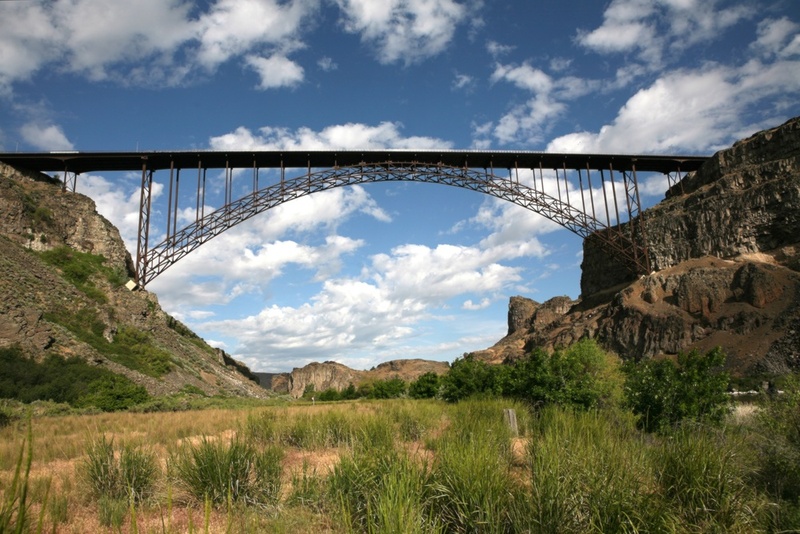 Twin Falls is the world's most BASE-friendly city. The Chamber of Commerce uses BASE to promote tourism for the area, and numerous local merchants and hotels offer BASE discounts. Airport Information: The nearest major airports to Twin Falls are Salt Lake City (SLC, 3.5 hours drive) and Boise (BOI, 1.75 hours drive). The Twin Falls airport (TWF) is incredibly convenient (there is only one gate, so security and check in lines are minimal, and parking is both free and within 50 yards of the terminal), and flying into it is usually not too much more expensive than flying into Salt Lake City (all flights to and from TWF route through SLC) if you book sufficiently in advance. The only airline flying into Twin Falls is SkyWest (the regional Delta subsidiary). Car rentals are available from several agencies at the Twin Falls Airport, and there is also taxi service into town. If you are flying a private aircraft, the Jerome county airport is actually closer to the bridge and Twin Falls hotels than the TWF airport. The Jerome airport is approximately 10 miles north of the bridge and hotels (the TWF airport is about 15 miles south because the bridge is at the northernmost edge of Twin Falls). The first 4 are within American walking distance; by European standards, all of them are. Motel 6 is the cheapest, and the Red Lion is favored by many jumpers as the best combination of cheap and nice (it's second cheapest, but probably worth the extra cost over Motel 6 unless you are on a tight budget), and allows jumpers to pack indoors in the hotel conference rooms. All of these hotels can be booked online, so check their web sites for current pricing. Be aware that some of them have weekly rates, and several have discounts available for BASE jumpers, if you ask. Weather: Temperatures in Twin Falls can vary widely, with summer temperatures as high as 110F (43C) and winter temperatures as low as -15F (-26C). It can snow as early as October and as late as May. We recommend bringing clothes for a wide range of temperatures, as well as a solid pair of hiking boots for the hike out of the canyon, which can be wet or icy.